Filipino employees working in the private sector are lucky to have the Social Security System (SSS), a state-run insurance program that gives them health and retirement benefits. It can also tide them through tough times with its short-term credit loans. But even if you’re not employed, you can still take advantage of SSS’ many benefits by applying as a voluntary member. Who can become a voluntary SSS member? Any Filipino can become a voluntary SSS member – whether you’re working for the government, the informal sector, or as an OFW. Because of the Kasambahay Law, employers of household service workers are also required to pay for their house help’s SSS contributions. Even self-employed and unemployed people and non-working spouses can become SSS members as long as they’re able to pay their monthly dues. And once you become an SSS member, you’re a member for life. 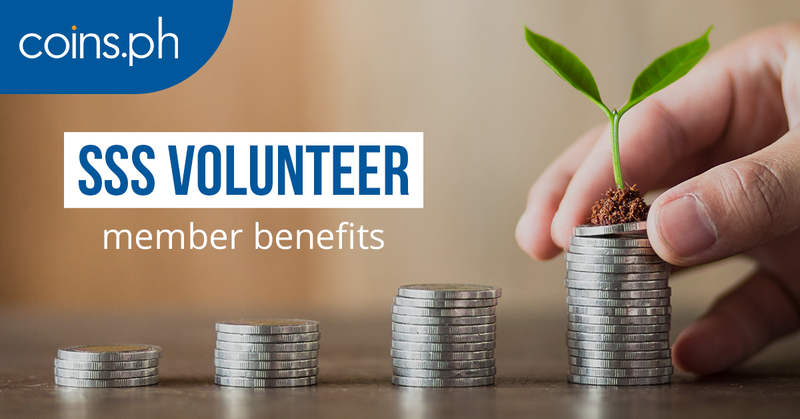 What are the benefits of being a voluntary SSS member? The SSS salary loan is a cash loan granted to any SSS member – including voluntary ones – to help them meet their short-term credit needs. It has an interest rate of 10% per annum, and the length of loan payment depends on how many contributions you’ve made. To qualify for a salary loan, you should have posted at least six monthly contributions in the last 12 months before filing your loan application. You also shouldn’t have any existing loans with the SSS. Being a voluntary SSS member sure has lots of perks, but you have to make sure that you comply with your monthly contributions to take advantage of them. If you paid the burial expenses of a deceased SSS member, you could apply to receive funeral benefits from the SSS. The only requirement is to have at least one monthly contribution as a voluntary, self-employed, or OFW member. You get a monthly death pension if you’re the primary beneficiary (spouse and dependent children) of a deceased SSS member who had at least 36 monthly contributions. If the contributions are lower than that, you get a lump sum. If there are no primary beneficiaries, the secondary beneficiaries or dependent parents receive the lump sum. 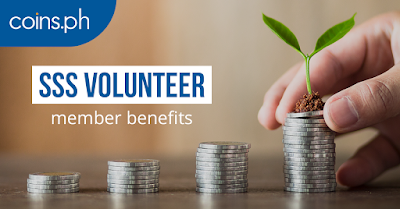 Also given either as a monthly pension or lump sum amount, the retirement benefit is given to SSS members who can no longer work due to old age. Those who are no longer working at 60 years old and contributed at least 120 monthly contributions before the semester of retirement can apply for a retirement benefit. It is automatically given to those who reach mandatory retirement at 65 years old, regardless of employment status. SSS members who became either partially or totally disabled may apply for the disability benefit. It can be given either as a monthly pension or a lump sum amount, depending on your monthly contributions. If you paid at least 36 monthly contributions, you qualify for a monthly disability pension. If not, you are granted a lump sum amount. Female SSS members who recently gave birth or had a miscarriage can avail of maternity benefits in the form of daily cash allowances. Again, you should have at least three months’ worth of SSS contributions within the last 12 months to receive this benefit. If you suddenly got sick or injured, you can get a daily cash allowance for the number of days you’re unable to work. To avail of sickness benefits, you should be confined at home or in a hospital for at least four days and have at least three months’ worth of contributions within the last 12 months. You can pay for your contributions through payment centers nationwide, as well as online. With the Coins.ph app, you can actually pay your SSS contributions straight from your mobile phone! All you need to do is tap the Pay Bills icon on the app, and tap SSS Contributions. Select Voluntary Member, fill in the amount, and your SSS number. Then slide to pay. This way, you’ll never have to miss on SSS benefits – and you save a lot of time paying your contributions online.